TUESDAY, Aug. 21, 2018 (HealthDay News) -- An enzyme found in gut bacteria could convert type A blood into universal type O blood, a scientific feat that would significantly boost blood supplies, a new study suggests. This enzyme converts A blood into O blood approximately 30 times faster than any enzyme on record, and it appears to do it in a safe and effective manner, said lead researcher Stephen Withers, a professor of biochemistry with the University of British Columbia. "It looks like it completely converted to O," Withers said. "I'm imagining adding the enzyme to A blood, letting it sit there for 24 hours, and then spin down the red blood cells and wash them and they would be ready to go." Withers reported his findings this week at the American Chemical Society's annual meeting, in Boston. Such research is considered preliminary until published in a peer-reviewed journal. People with A, B and AB blood should receive donations that match their blood type, lest they suffer a severe and potentially fatal immune reaction. However, any of them can receive type O blood. That's because of antigens located on the surface of everyone's red blood cells, Withers explained. Antigens signal to the immune system whether organisms detected in the body are native cells to be tolerated or foreign invaders to be attacked. "The O antigen has a certain sugar structure on the surface. A and B have that sugar, but they have one additional sugar attached to it in each case," Withers said. "You've got a base sugar structure on the O blood and there's an additional sugar attached to that to make it A or B." "The idea is if you could cut that additional sugar off the A or B, you would convert it into O because it would come back to that base structure," Withers said. The thought of using biochemicals called enzymes to snip off those sugars is not a new one. "The idea was demonstrated for B blood back in 1982, but the enzymes they had available then were so slow and inefficient it was never going to be a practical approach," Withers said. But in the intervening decades, new genetic technology has made it easier to look for enzymes that would more effectively and efficiently convert A or B blood to O, Withers said. He and his colleagues looked at enzymes created by gut bacteria because the sort of sugars that define A and B blood are present on the gut wall. Gut bacteria are known to derive some of their energy from breaking down these sugars, Withers said. The research team found one enzyme that appears to cut the A-type sugar in a "highly specific" way, he said. Specificity is important because if the enzyme makes other changes to the cell, it could create an immune reaction in recipients, Withers said. "We don't seem to see any other sugars cut off by this enzyme. That's really important because we don't want to modify the red blood cell in some way that might compromise it," Withers said. "As far as we can tell, we're only cutting off the A antigen." The researchers have applied for a patent, and are loath to talk about which specific gut bacteria creates the enzyme until it is approved, he said. The next step is to use a protein engineering technique called "directed evolution" to simulate speeded-up natural evolution in the bacteria, with the goal of creating the most efficient sugar-removing enzyme, Withers said. Dr. Pampee Young, chief medical officer of the American Red Cross, said this sort of innovation, if it proves effective, would help bolster the "constant" need for blood. "Every two seconds, someone in the U.S. needs blood," Young said. "The Red Cross must collect more than 13,000 blood and platelet donations each day to meet the needs of accident victims, people undergoing heart surgery, cancer patients, people with blood disorders and others. "The approach presented is innovative and of interest," Young said of Withers' technique. 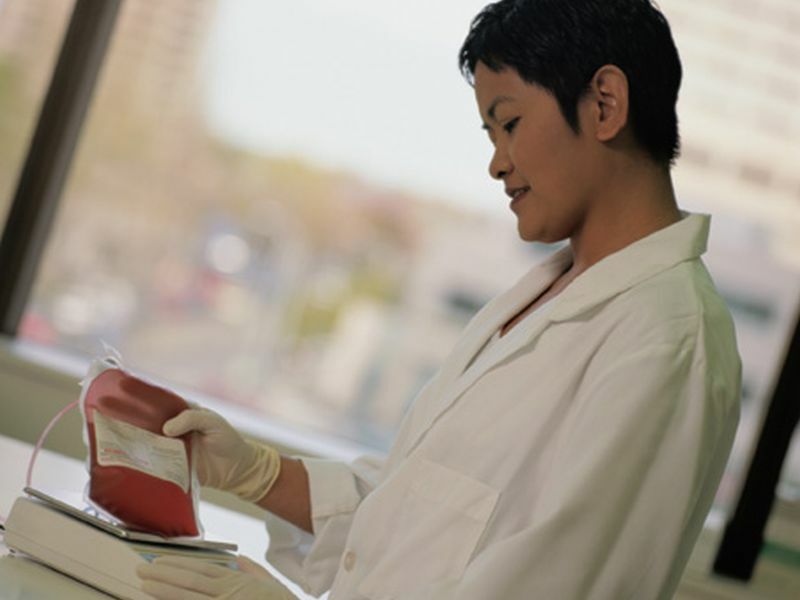 "We are hopeful that technology can support in alleviating many of the issues around blood shortages faced by blood collection centers such as Red Cross and others to meet patient needs. "We follow the progress of innovations as they are validated, prepared for clinical use and as safety and efficacy are established," Young concluded.